Tink can rap and sing and—as we learned in our recent FADER cover story—has a clear and articulate vision about what it means to be a young woman in this industry. 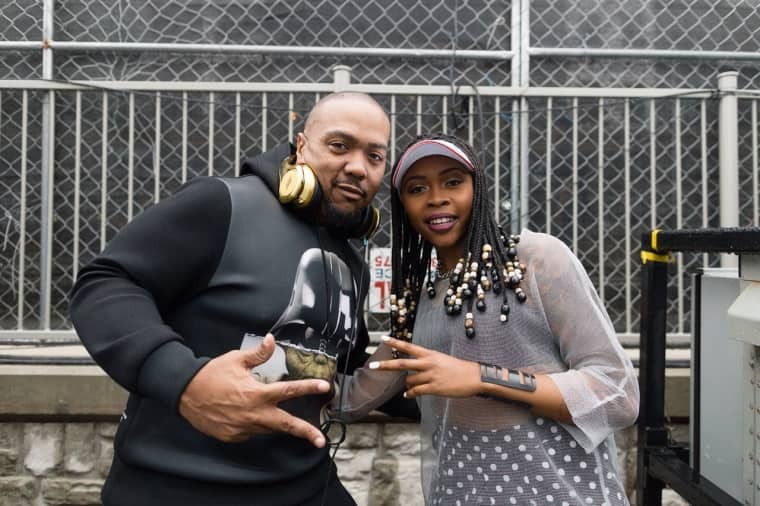 In the moments before her Saturday night set at The FADER FORT Presented by Converse, rapper-producer-executive Timbaland popped up to perform with his protégé. He slumped around, sipped a drink, made faces in the Dell | Intel-powered livestream camera, and—above all—hyped his girl. THAT NEW HOT @timbaland at the #FADERFORTConverse !!! Timbaland told the crowd that Aaliyah spoke to him and told him Tink was "the one." This was right after she performed an unreleased new track that interpolates Aaliyah's classic "One In A Million." Tink looked a little embarrassed, like a daughter might be of her adoring father. Watch a clip of his speech below. Read Tink's FADER cover story here, and keep locked to TheFADER.com for the 4k livestream powered by Dell | Intel. It's not over yet!